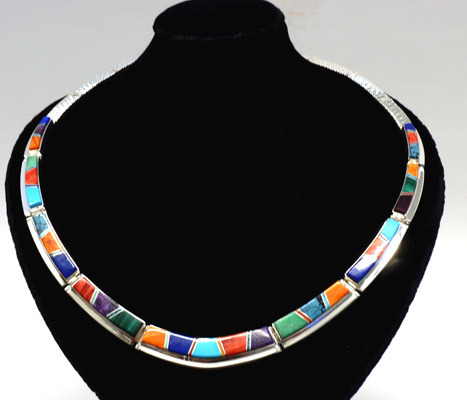 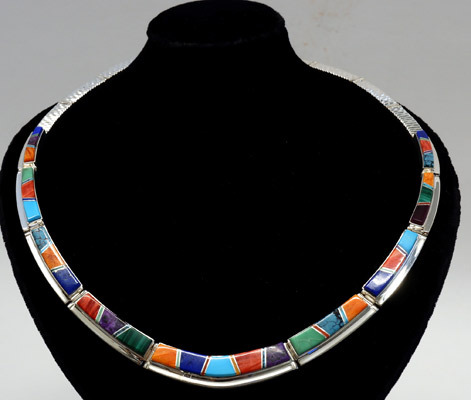 Earl Plummer's exceptional skill in inlay and his eye for color is demonstrated in this beautiful inlay necklace. 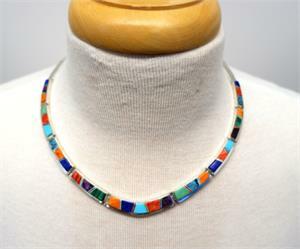 Turquoise from various mines is complimented by lapis, coral, orange and red spiny oyster shell, sugilite and malachite. 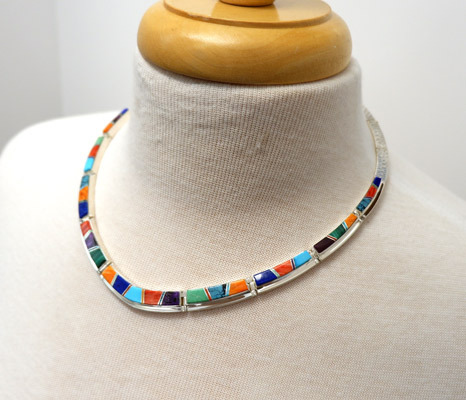 Each stone and shell setting is separated by a thin bar of sterling silver (referred to as 'channel inlay'), bringing a sparkling life to this necklace. 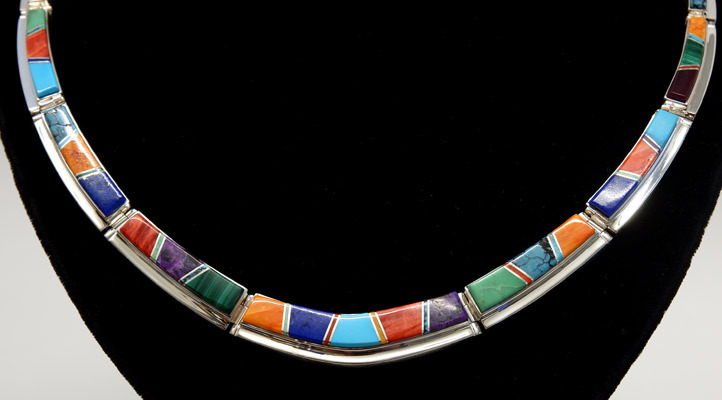 Earl Plummer learned to make jewelry as a teenager by watching and learning from family members. 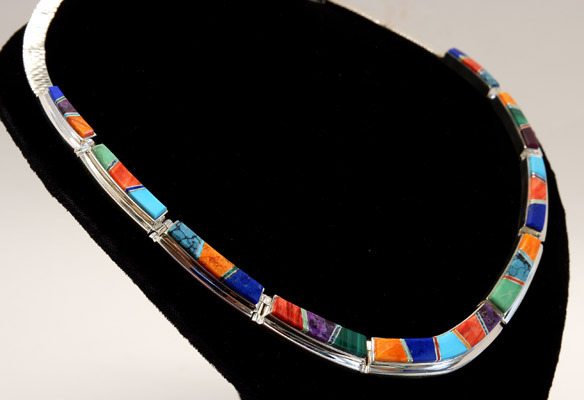 Starting with simple stamp work, he continued perfecting his skills, learning to cut and set the high quality stones for which he is known today. 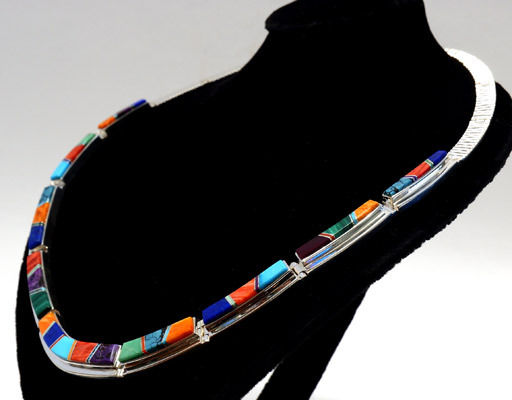 Earl has become an expert lapidarist and metalsmith, known for his meticulous precision in cutting stones, channel inlay work and exceptional handmade silver beads. 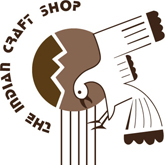 He is inspired for his designs by observing nature, and has won many awards over the years, including the "Artist of the Year for 2011" from the Indian Arts and Crafts Association.